The 3-Position Gate Valves are designed for use in etching, CVD and any other process that requires pressure control. When used in conjunction with upstream mass flow controllers, this series valve will contribute to an exceptional pressure control capability. These valves may also be utilized to smooth the transition from rough to high vacuum. 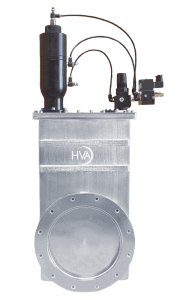 The valves employ two pneumatic solenoids and an air pressure regulator to achieve the three positions of fully open, fully closed, and an adjustable third position. One solenoid controls the fully open and fully closed positions while a second solenoid controls the third position.